Amidst this inspiring praise, however, Jacob launched into an unexpected series of “woes” condemning various practices. ­­­In 2 Nephi 9:27­­–38, Jacob pronounced­ ten “woes” against liars, murderers, idol worshippers, those who think they don’t need God due to wisdom or riches, and others. Because there are exactly ten of them, they have been called “Jacob’s Ten Woes,” and compared to the famous Ten Commandments given to Moses on Mount Sinai (see Exodus 20:3–17). Covenants in the ancient world followed a specific pattern in which the stipulations were laid out, and consequences of keeping or breaking the covenant were explained. 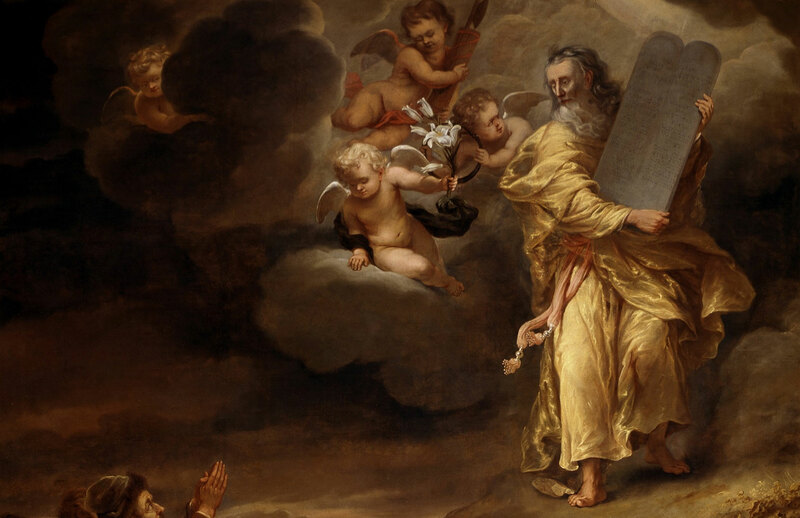 At Sinai, the Ten Commandments were among “the stipulations of the covenant.” Both blessings and cursings are also present in the covenant renewal at Mt. Ebal (see Deuteronomy 27–28). Although not always noticed, Jacob actually told his listeners that his purpose in quoting Isaiah was “that ye might know concerning the covenants of the Lord that he has covenanted with all the house of Israel” (2 Nephi 9:1). The ten woes found in 2 Nephi 9:27–38, therefore, function as the list of stipulations and the consequences attached for violating that aspect of the covenant. Moreover, the full traditional ancient covenant pattern shaped Jacob’s speech. This full covenant formula teaches an important lesson, namely that the fullness of the gospel is not only about the goodness and blessings of God, it also deals with the consequences of sin. Knowing the necessity of keeping and obeying one’s covenants with God, the Savior placed woes upon the Pharisees and scribes, calling them to repentance for their hypocritical violations of several requirements of the law (see Matthew 23). The Savior also followed the pattern of declaring both blessings and cursings in his Sermon on the Plain (Luke 6:17–26). As the world continues to move toward a more laissez-faire attitude toward many moral behaviors, people tend to refashion the image of God into the image of the world (see D&C 1:16). Often the result is to emphasize only God’s love and mercy while discounting or ignoring His stipulations and consequences. In contrast, Jacob’s powerful discourse reminds us not only of “the greatness of the mercy of our God … [who] delivereth his saints from that awful monster the devil, and death, and hell” (2 Nephi 9:29) but also of “the greatness and the justice of our God … [who] executeth all his words, and they have gone forth out of his mouth and his law must be fulfilled” (2 Nephi 9:17). God’s justice includes consequences for violating the law; his mercy is found in providing a Savior and allowing time for change and reconciliation. While repentance is always possible, it remains true that not all behavior is acceptable to the Lord. In his ten woes, Jacob identified several of those unacceptable behaviors and warns of the consequences to befall those who violate their covenants and do not repent. John W. Welch and J. Gregory Welch, Charting the Book of Mormon (Provo, UT: FARMS, 1999), chart 120. John S. Thompson, “Isaiah 50–51, the Israelite Autumn Festivals, and the Covenant Speech of Jacob in 2 Nephi 6–10,” in Isaiah in the Book of Mormon, ed. Donald W. Parry and John W. Welch (Provo, Utah: FARMS, 1998), 123–150. John W. Welch, “Jacob’s Ten Commandments,” in Reexploring the Book of Mormon: A Decade of New Research, ed. John W. Welch (Salt Lake City and Provo, Utah: Deseret Book and FARMS, 1992), 69–72. Book of Mormon Central, “How is Jacob’s Speech Related to Ancient Israelite Autumn Festivals? (2 Nephi 6:4)” KnoWhy 32 (February 12, 2016); John S. Thompson, “Isaiah 50–51, the Israelite Autumn Festivals, and the Covenant Speech of Jacob in 2 Nephi 6–10,” in Isaiah in the Book of Mormon, ed. Donald W. Parry and John W. Welch (Provo, Utah: FARMS, 1998), 139–142. For Jacob’s discussion of the plan of salvation, see Book of Mormon Central, “When Does the Book of Mormon First Talk about the Plan of Salvation?” KnoWhy 33 (February 15, 2016). Grant Hardy, ed., The Book of Mormon: A Reader’s Edition (Urbana and Chicago: University of Illinois Press, 2003), 85. Welch, “Jacob’s Ten Commandments,” 70. John J. Collins, Introduction to the Hebrew Bible (Minneapolis: Fortress Press, 2004), 121. Collins, Introduction to the Hebrew Bible, 125. See Thompson, “Isaiah 50–51, the Israelite Autumn Festivals, and the Covenant Speech of Jacob,” 126–127. Book of Mormon Central, “How is Jacob’s Speech Related to Ancient Israelite Autumn Festivals? (2 Nephi 6:4)” KnoWhy 32 (February 12, 2016); Thompson, “Isaiah 50–51, the Israelite Autumn Festivals, and the Covenant Speech of Jacob,” 124–127.